A billion people on the planet now access Facebook every month, making the website the largest social platform for advertising by businesses worldwide. In the previous year, revenues at the Palo Alto-based company grew 35% to $5 billion, (Rs 27,280 crore), largely from ad sales. In India, where the company has its second-largest user base after the US, it is now focusing on building business with emerging ventures. 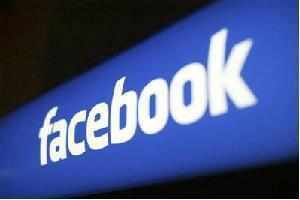 How many Facebook users are there in India now and what is causing the growth in social media? India has more than 71 million users for Facebook at the end of last quarter. It is the second-biggest market in the world for Facebook. This growth is coming from an increase in mobile usage and penetration of different mobile devices in India. We have Facebook available on mobile in seven Indian languages now. Globally, we have about 680 million monthly active mobile users on Facebook. What portion of your revenue comes from mobile advertising? Mobile revenue represented approximately 23% of advertising revenue for the fourth quarter of 2012, up from approximately 14% of advertising revenue in the third quarter of 2012. We pride ourselves in being a mobile-led company. Different apps are also aiding this growth. The usage of apps on Facebook is widespread. The company's revenues from mobile advertisements have grown to 22-23% of total revenues in just a few years. How is advertising sales doing in India especially from emerging businesses? There are about 15 million small and medium businesses on Facebook now. Take, for instance, Bangalore-based Pigtails and Ponys, a hair products venture started by two Indian fashion students who have built a fan base of 17,000 in less than four months. Another e-commerce company, Chumbak directs a majority of its advertising through Facebook. Kaya Skin Clinic brings out offers and sees conversions and walk-ins through its advertising on Facebook. Are there specific products that drive growth for small businesses? In India, a solution like the page manager app is very popular. Through this product, any start-up which has a Facebook page can use a smartphone and add a product or a picture on the company's page and update customers or fans instantly. Now, businesses (especially online) are generally on at all hours of day or night. So, these kinds of products really help small businesses. There is growing skepticism about the efficiency of advertising on social media, what is your view? We think Facebook ads work, and work for everyone. There was a study done last year by Nielsen about what kind of media people trust. About 92% said they trusted referral advertising by their family or friends. About 47% voted for TV and newspapers. Now consumers go to friends and family for advice when buying a product. Facebook is kind of a word of mouth megaphone which companies can use online. Social advertising works, especially when a billion users on the planet use this platform almost every day, not only when they are on a computer but when on the move. How is the promoted post business on Facebook 'Walls' doing in India? We can't give any country-based numbers. It's doing great, however. There are about 5,00,000 people using promoted posts across the world. Through this you can write a post and promote it to your fans, customers or friends. For those startups or people who want to spend small money, promoted posts come really handy as it is very useful for those who don't want to create a whole Page. What is the amount that a start-up has to spend to start advertising on Facebook? You can spend as little as $2 a day, to reach new customers, fans or build brand awareness when opening a business. You can start with just a few dollars a day, which is very attractive for small businesses. Take, for instance, Singapore's Ministry of Retail which started with just $10 a day being spent on Facebook to now thousands of dollars it spends on Facebook advertising. How is social media advertising different from online advertising? Our search product allows users to see businesses or products which their friends have used before. For instance, I was in New York recently looking for restaurants, and I found one on Facebook Search, that my wife's cousin had recommended, and it turned out to be great. It's not possible with traditional advertising. With social ads, SMBs can target very specific set of people, specific cities, even demographics without spending big.